Cast: Chiranjeevi, Namrata Shirodkar, Tinnu Anand. TAGORE is 2003 Telugu crime -drama film directed by V.V.Vinayak.The film is about a common man who decides to abolish corruption altogether in society at various levels. Tagore (Chiranjeevi) a Physical Education Teacher in National college, Founder of ACF (Anti Corruption Force ) with the alumni of the college. He kidnaps the most corrupt officers from different Government offices and kills them to create a fear among the corrupt officers. The government will take it seriously and appoints S I T (Special Investigation Team) to catch him. As usual, the SIT officers spend their time beating around the bush, Tagore will continue his agenda. Constable Suryam (Prakash Raj) an IPS ranker who was working as constable because of the corrupt system, will take up the issue seriously, and he will dig out the connection of alumni of national college with ACF. Members of the ACF will be arrested but they don’t reveal the name of their mentor. Finally, Tagore surrenders on his own to stop the violence, Suryam will express his sorry to Tagore when he encounters Tagore at court lobbies, but to the surprise, Tagore appreciates him and he wishes him to continue the same spirit. Cast: Chiranjeevi, Jyothika, Shriya Saran, Shivaji Shinde. JAGADEKA VEERUDU ATHILOKA SUNDARI is a supernatural fantasy movie directed by K.Raghavendra Rao in 1990. Raju (Chiranjeevi) is courageous and spirited young man, is a caregiver of four young orphans. He is a tourist guide in a picturesque hill station. Once he will go to Manasarovar to bring some herb to save one of the four orphans who is ailed. During the course finding herb, he will find a ring of celestial (Sridevi) by name Indraja, and he wears it and comes back. But the celestial cannot enter their world without that ring she will come back in search of her ring and he will find Raju with the Ring. She stays with him waiting for the opportunity to steal the ring. Mahadrshta a sorcerer identifies Indraja as celestial, being and wants to sacrifice her to become immortal, the rest of the story is about how Raju saves her and whether Indraja goes back to her world or not. 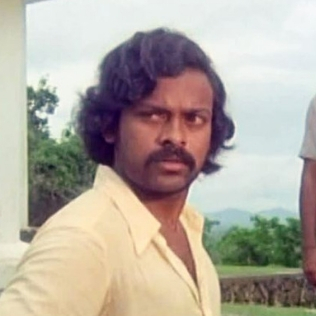 RUDRA VEENA is a movie with a message about national integration and rural development, directed by K. Balachandar and produced by K. Nagendra Babu in 1988. Rudraveena focuses on the ideological conflicts between father and son. Father is a Carnatic musician having a lot of reservations and conservative, but the son Suryam (Chiranjeevi) is very liberal and secular. He develops a misunderstanding and Suryam will be forced to leave as he has a love affair with a lower caste girl. He comes out and starts finding out the evil for the poverty of villagers, Finally, he could understand that alcoholism is the root cause of their poverty. He decides to eradicate it he launches a program which will get him national recognition and his father feel proud to accept himself as his father. 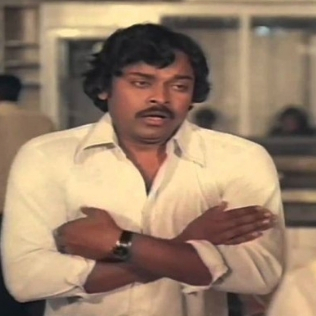 SWAYAM KRUSHI is a movie by K.Viswanath in 1987, when Chiranjeevi was on peaks of his career played a role of a COBBLER in the movie, this was the second movie with the legendary director. Sambayya (Chiranjeevi) raises his dead sister”s sun, besides financing the education of orphaned Sumalatha, having an idea of marrying her. But unfortunately, she will marry some other person leaving him disappointed. Sambaiah turns into a big shoemaker and businessman in his later life. 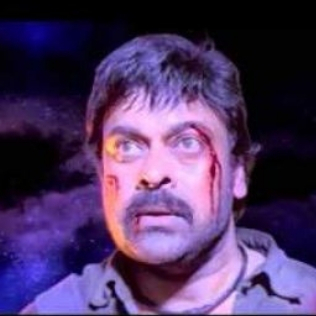 Bold performance of Chiranjeevi keeping aside his image and fame is something which no one can dare to imagine. Cast: Chiranjeevi, Suhasini, Kongara Jagayya. CHANTABBAI is a comedy movie with a lot of family drama of an orphan who led his life pathetically and becomes a private detective by name JAMES POND originally Pandu Ranga Rao. It was his first full-length comedy role on the silver screen directed by Jandhyala. 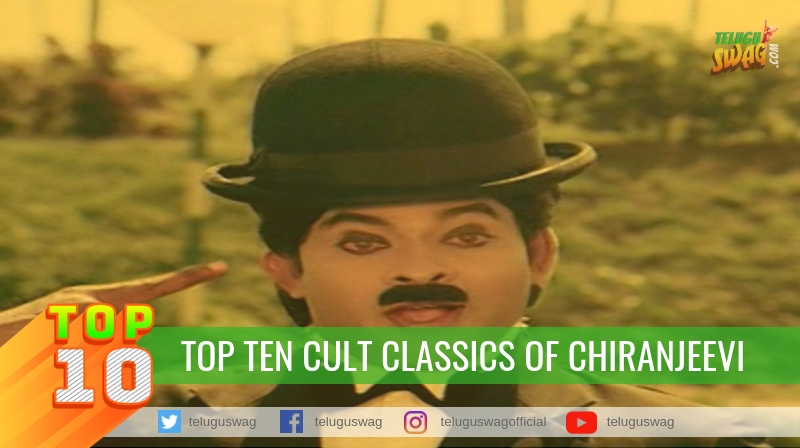 Chiranjeevi played Charlie Chaplin’s role and he appears in lady getup in his investigation process, where he got the applause of the audience as well as critics. He will take up a case of finding out the lost son of a wealthy man, in the process of his investigation, he will come to know his search was for himself. When he realizes that himself is the lost son of a wealthy man he will grieve and he will not reveal the same to them, because of the agony he was undergone in his childhood. Dramatically they will come to know the fact and they will convince him to take his place. VIJETHA is a movie with a message about Team spirit with an under current family Drama directed by A. Kodanda Rami Reddy and produced by Allu Aravind in 1985. The story was dramatized between father and son, Chiranjeevi played as youngest son as Chinababu, who happens to be a football player and plans his future through the game. When his father becomes helpless to fulfill his responsibility of performing the marriage of his youngest daughter. In order to save his father’s respect, he sacrifices by donating his kidney to a wealthy man’s son, in turn, he takes some money and helps his father to fulfill his responsibility. Chinababu contributes to his family with a team spirit as a member of the family who was denied by them all these days. When they come to know about the sacrifice made by Chinnababu everyone feels guilty. 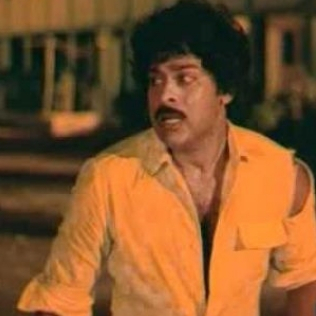 Cast: Chiranjeevi, Bhanu Priya, Sharada. SUBHALEKHA is a message oriented movie, about the struggle against a social evil, Dowry system, directed by K.Viswanath in 1982. 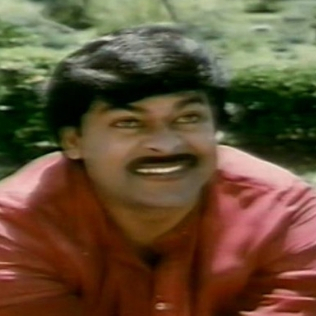 Chiranjeevi played a lead role and Sumalatha played a female lead role. Chiranjeevi known for his heroic roles with his dances and smashing fights has played a role as a waiter in a restaurant. While Sumalatha ostracised from her family and rendered jobless for protesting against dowry. Chiranjeevi who supports and marries her in due course. Chiranjeevi is forced to face many problems with a local politician because of his soft corner towards Sumalatha. The story of the movie highlights certain evils of our society with some subtle emotions. Punnami Nagu is a Telugu horror drama film directed by Rajasekhar, produced by A V M Productions in 1980. The movie brought recognition to Chiranjeevi. He played a ferocious role as Nagulu, a Snake Charmer, his father mixes Snake venom into his daily food to make him immune to any snake bite. But Nagulu develops partial snake like instinct and behavior. He kills young girls without his knowledge on full moon nights. When he comes to notice the same he will try to take an antidote but it was too late. His skin starts to peel off like a snake, frustrated Nagulu, who doesn’t want to continue his life with snake traits, will kill himself by jumping from a hilltop. 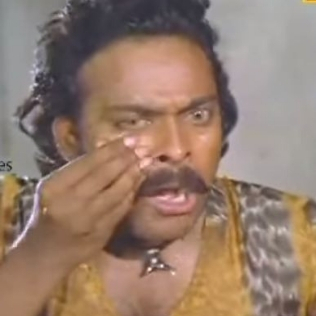 The way in which he enacted Nagulu role got the applause of critics and audience. 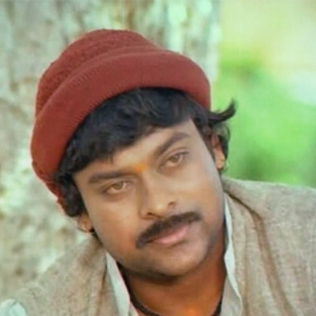 Cast: Chiranjeevi, Narasimha Raju, Rati Agnihotri. Mana Voori Pandavulu 1978 is a Telugu movie directed by Bapu and written by Mullapudi Venkata Ramana dealing with the struggle against the feudal system in their unique way. Though being a revolutionary theme the movie was wonderfully made without the noise, flags and blood shade. 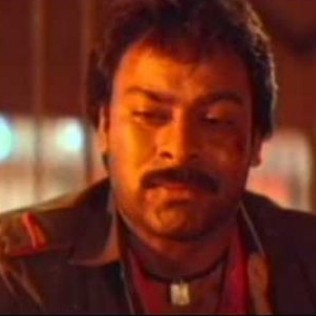 Chiranjeevi played a role as PARTHU, one among the group of five who rose their voice against the feudal Dora of their village. The first and foremost person who revolts against feudal Dora is PARTHU. He expresses his unwillingness towards the feudalistic behavior of Dora openly on his face He contributes a lot to the evacuation of Dora from the village with help of his group. Even in the group of five, his performance was unique and impressive. It was his second presence on the silver screen as per the release, in which he impressed both the audience and filmmakers in the industry. Cast: Chiranjeevi, Krishnam Raju, Rao Gopal Rao.